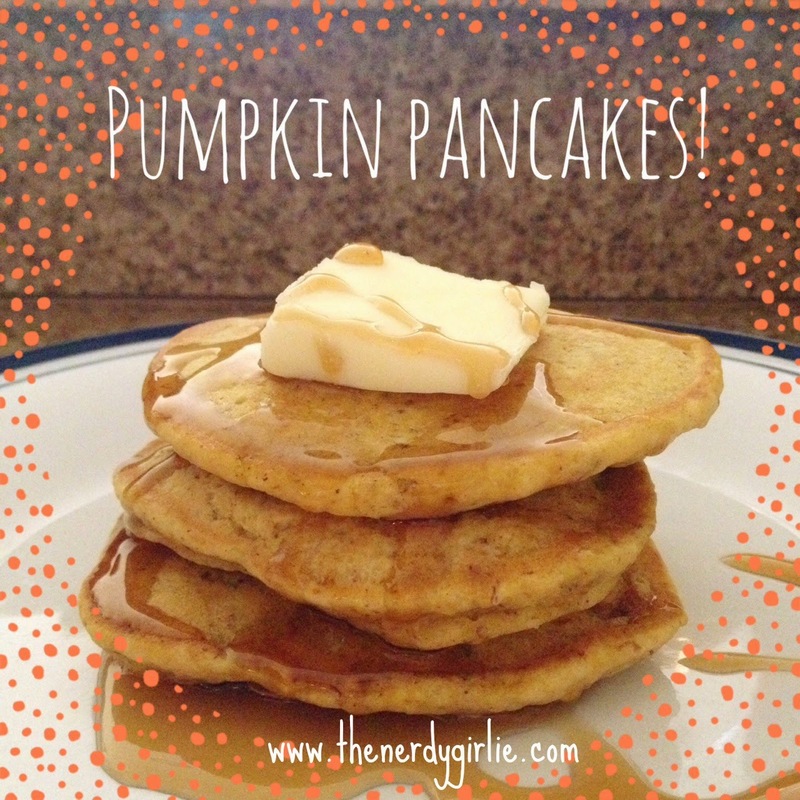 My pumpkin recipe of the week, pancakes! Per usual I could have used way more pumpkin, so feel free to add more and let me know what you think in the comments below! Mix everything together. Cook in your pan sprayed with olive oil. These would be perfect for a Sunday brunch on these chilly mornings! Invite the squad over and brew up some pumpkin lattes too! What is your favorite pumpkin breakfast item?! My a close second would be Thomas' English Muffins! YUM! Share yours below! I might just have to make myself some of those pancakes this weekend they look so yummy! I have been waiting FOREVER for Scandal to hit CDN Netflix. Hurry up! I needs more drama! DUDE! Give How To Get Away With Murder a try too! It's produced (and I think written by as well) Shonda who is the creator of scandal! She's amazing, and, Dean Thomas is in it too! HP/Sherlock win (sort of)! I love that you did a post on Scandal AND pancakes. I like you.